Floatation therapy is an exceptionally effective technique for triggering a deep relaxation state much stronger than that experienced in deep sleep. This particular state of relaxation occurs as a result of induced sensory deprivation, which can only be achieved within a floatation tank or pod. As you become immersed in body-temperature, super-saturated Epsom-salt water, you quickly alleviate all the day-to-day pressure, stress and tension, constantly placed on your skeletal and muscular systems, as well as vital joints and organs. 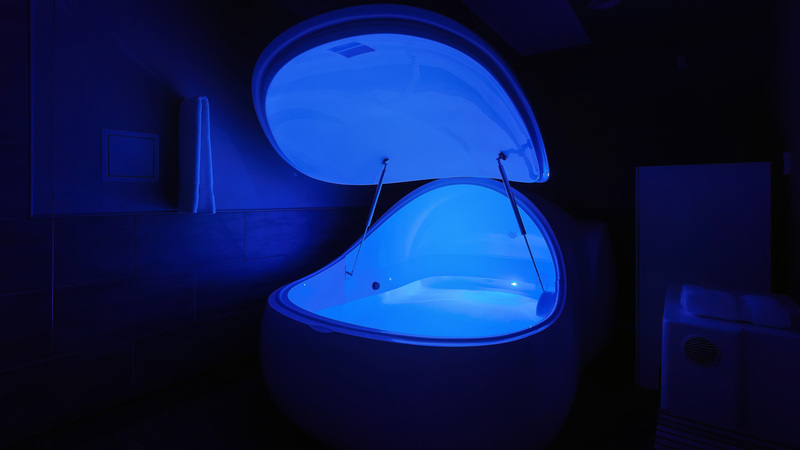 This phenomenon, along with the darkness provided by shutting the floating pod door, creates a mysterious sense of weightlessness and heightened feeling of relaxation due to the voluntary deception of the senses. Some people refer to this as a zero gravity sensation. Please note that if you may feel claustrophobic, you are welcome to leave the pod door open and the pod lights switched on.